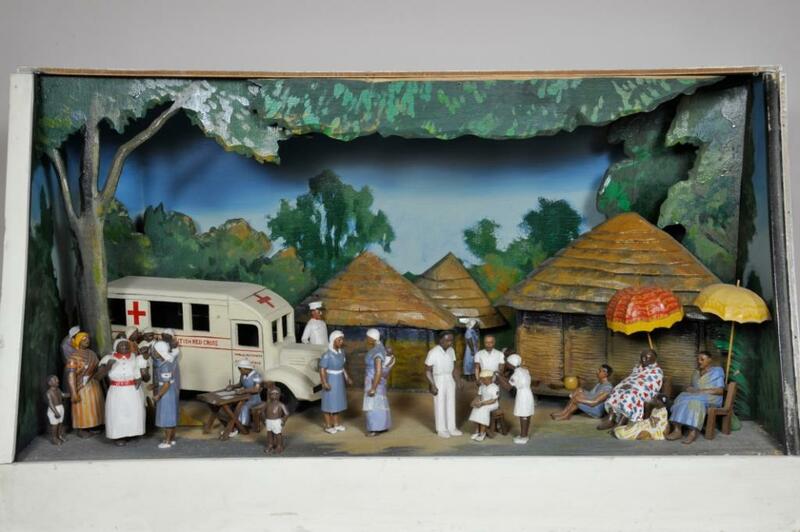 Diorama featuring a Mobile Maternity and Child Welfare Clinic, run by the Gold Coast Branch of British Red Cross. There are six staff in Red Cross uniform and one member sits at a desk, writing. The vehicle displays the wording: 'Gold Cold Branch British Red cross' and 'Mobile Maternity and Child Welfare Clinic.' There are women with babies and children waiting to be treated.